*Finding The Right Career* – Tip #1 Occupations That Match Your Interests. If you put a little time and research into it you can easily move the things that you love to do, want to do, or find interesting to do into a whole new career. There are probably many careers out there that are based around the things that you enjoy doing. There are many online tools available that can help assist you through this process of matching your skills, interests and hobbies with various jobs and career paths. Using quizzes, questions and personality tests they can often help assess what your perfect career may be. They can help you highlight the things you like doing, want to do and the hobbies you enjoy into new avenues you can excel in and what is important to you when it comes to choosing a career. For example, there is a test carried out by many universities in the United States – called the RIASEC/Holland interest scale. The test outlines the 6 common personality traits such as social, artistic or investigative and allows you to be able to browse careers available that are based on your personality type. If you have been able to narrow down either a specific career path or job – you will be able to find more information online on these newly outlined occupations. Armed with some answers to your most important and most asked questions such as average wages, strength of or the future growth in your new career path, you will be able to figure out some practical questions. 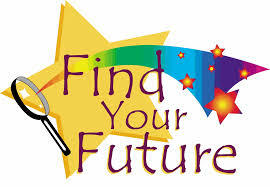 Is the new field or career path you are looking into very stable?? Are you happy about the amount of risk undertaking a new career may entail? Do you need to relocate for either training or for the position? Is there a new commute involved? Is it closer to your current home, or will you be facing longer distances and travel times? Will the take home pay be less, more or the same that you are currently use to? How will the new job impact on your family? Will you be spending more time at home? Or less time at home? While you can gain a lot of new knowledge and information by taking quizzes and answering questions, there is no substitute for getting answers from those already working in your newly chosen field. Talking to someone who is currently working in your field can help immensely. It will give you a real feel for the type of work, the hours, pressure, working conditions, what the work will entail, and most importantly if it meets your expectations. You will also be able to start building a network of friends and contacts in the area which may be helpful in gaining employment later. While this might sound like a scary and intimidating proposition it doesn’t have to be. Networking is a very important skill that can help you in your career or in gaining employment, as always it’s not the *what you know, it’s the who you know*. Obtaining a job coach or attending career counselling can also be a big help. Often it’s that impartial advice or suggestions that can open up possibilities you haven’t even considered. What are the things most important to you when looking for work? Are you happy to travel long distances for a job you love? Would you be willing to take a pay cut to change careers?